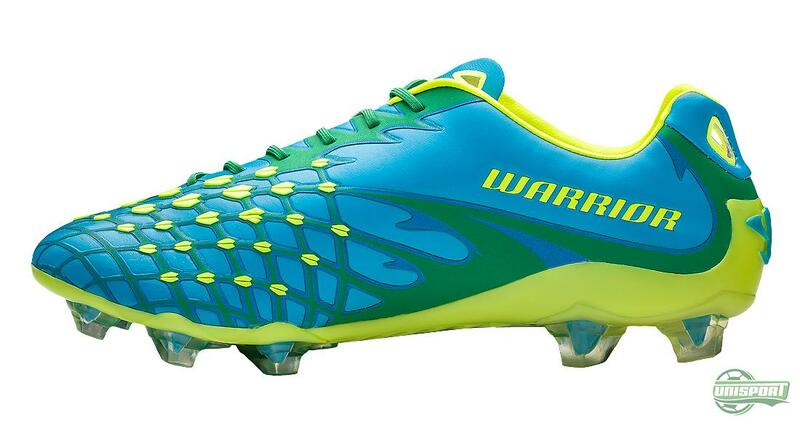 Warrior are ready with new launches. Monday, we could present a new Superheat and today they have revealed the Warrior Skreamer II. And Warrior built on the daring design from the first generation, with a combination of colours that certainly stand out from the crowd. The Skreamer collection has a special place in the heart of Warrior Sports. It was their very first football boot, so it is of great importance to the American sports brand. With today's presentation of the new Skreamer, Warrior have now started a new chapter with their very first silo. The new model sticks with a lot of its predecessor's technologies, but in close cooperation with the players, the Warrior research team have found some improvement options, which they have added to the new Skreamer S-Lite II. The last is still made with an anatomically adapted technique that provides the football with a snug fit, while the TPU outsole serves to keep the weight at a minimum. 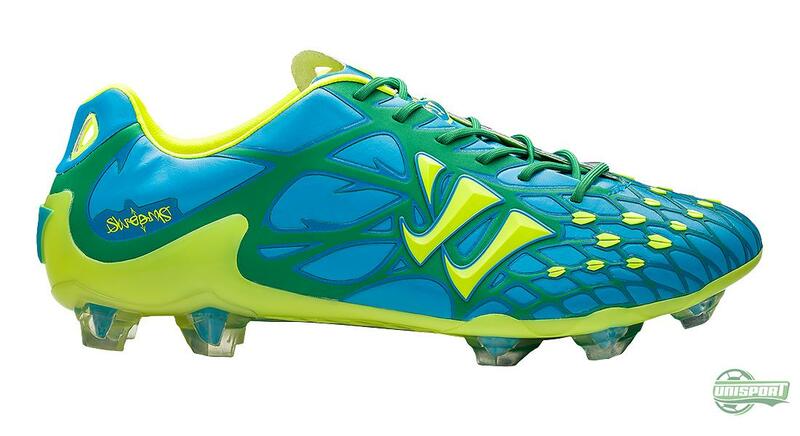 The upper is made with a new S-Lite material, which is a ultra strong and also softer synthetic. 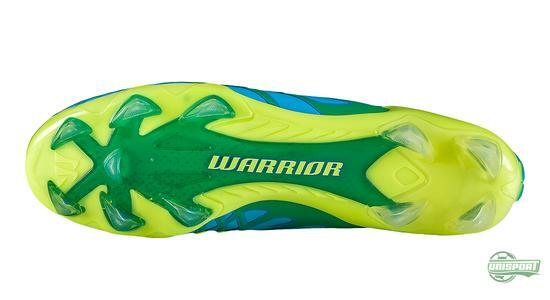 Warrior have found that this upper material enhances the fit around the foot and will hereby also provide a much better ball feel, as the boot will fit snug on your foot and the contact between foot and ball will feel more realistic. The previous model also included a rather different Arrowhead technology, which was a range of small rubber arrows that are developed to increase precision, swerve and power in your strikes. This technology has been passed on to the new Skreamer II, but the rubber arrows have been rearranged a bit in relation to the first generation. In the bottom of the boot, Warrior have kept their War Plate sole with the ClawTec stud configuration, which includes bladed studs that serve to provide a more stable grip, as well as a more explosive acceleration. 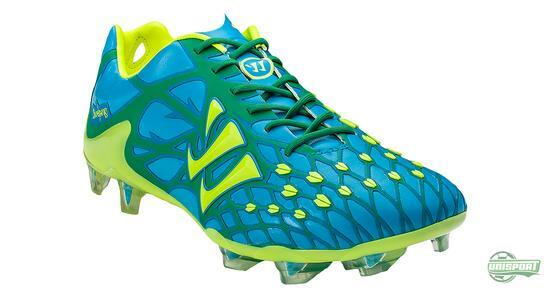 Warrior have focused a lot on comfort with the new boot and have in this connection developed DeepLace, which is a new lacing configuration, that adds to the snug fit as the boots really wraps itself around your foot as you lace it. 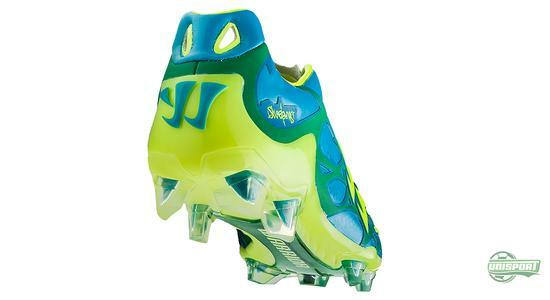 The second generation of Warriors first football boot was presented and will already be seen in action tonight as Vincent Kompany and Manchester City are looking to take another step closer to to the title. Warrior have naturally kept the daring design – but what do you think of the new boot? Is it to your liking?